Two of the strongest Women's Division II teams in the country face off in the Red River Competition. Little Rock's Stormers will welcome in Austin's Valkyries as both teams put their undefeated seasons on the line. They each enter the contest with impressive starts to the season, winning their opening matches and each averaging over 50 points a game. While these impressive starts to the season may seem extraordinary, and they are, for these two teams they've grown accustomed to these standards. "Having a good club culture really keeps us going on both sides," noted Eric Enright, coach of the Valkyries. The club culture he mentions is not just a bias opinion. Austin has done a tremendous job of cultivating a club and investing heavily to create two women's teams, one which competes perennially in Division I and a D2 side, which has been at the forefront of the national game for a while now. The depth they possess and the competition for spots on either teams means that each player is constantly pushing their case and the players around themselves to be the best they can be. Contrarily, Little Rock has adopted an approach of surrounding themselves with new faces. According to their coach, Kate Turnpin, they actively pursue multisport athletes and try to teach them the game. It has been a relatively successful approach so far, but there have been some growing pains. Last year was a banner year for both programs, as each team made the Red River playoffs. However, Austin was able to capitalize on their opportunities more and they advanced to the national quarterfinals; while Little Rock were home after the first round of the Red River playoffs. Neither team is particularly happy with the circumstances under which their season ended last year, but both are using it as motivation to get back and make a mends for last year. "Oh yeah, we're really excited about this year's playoffs," began Enright. "Last year with our D2 side it was a new experience for a lot of those girls. Coming off that and adding a few new players to our D2 squad having all of that experience is going to really help us push towards the playoffs this year." For Little Rock it's a similar sentiment. "We were still in our recruitment phase, we have some talented athletes, but not very deep. We wound up succumbing to injuries last season. We had just 15 at playoffs and we had two girls go down with injuries in the game. This year with a deeper bench and little bit more rugby under the belts we are definitely coming back with something to prove," noted Turpin. To help them get over their respective playoff humps, each team will have to play as a whole, but also get a little help from their stand out players. For Little Rock it's a particularly difficult answer, Turpin explaining, "That's a really hard question. Everybody is working really hard, so it's hard to single out one player; I'd have to say the addition of Cheryl Johnson and Erin Gallagher Johnson." Both players joined the team with team with prior rugby experience adding to the team's rugby IQ and helped them take the leap forward faster than expected. On Austin's end, they have a new player that's bolstered their squad too, according to Enright. "Zoe Hunter, is new to the team this year. She helped start a team in Oregon and played at Oregon State for a couple year. Also we have Liz Garcia, she's done an excellent job of leading the team around the field." With a halves pairing this dangerous a lot of the Stormers' attention will be placed on these two play makers. Heading into the match both teams know they will need a complete performance on both ends of the ball if they are to have any chance of subduing their opponents. Enright noted his gameplan is simple and focused on the fundamentals, "For Offense, we need to stick to our structure. When we play the brand we practice we usually end up with a really good result. On defense we are looking for work ethic. We like to say 'defense doesn't take talent.' If we put in the work and get around the corner that will be what helps us the most." For Turpin "defensively our tackling is increasing every year and we need to maintain our structure and realign faster. If we can realign faster than Austin on offense we'll be in a good position as continuity is really our strong suit." It should be a thrilling encounter with both teams putting up points on the scoreboard, don't be surprised if this one sees the winning points scored in the final 10 minutes. One of the biggest surprises early in the season, has been in the performance of the women on the Berkeley All Blues D2 side. In the last four years they have gone 8-23, this year they have come hot out of the gates and sit at 2-0. These wins have been against quality opposition and emphatic in their style. Through the opening couple of games, the All Blues have racked up 133 points for while only conceding 31. Leading their charge has been fly-half Olivia Bernadel Huey and number 8 Jazmyne Spear. Huey has contributed 34 points to the All Blues cause so far this year, while Spear has scored 5 tries in only two games. While it seems they are unstoppable, they will face their toughest test this weekend against the Sacramento Amazons. Last year's champion, Sacramento, have only played one game so far this year, but look to be right back where they left things in 2018. In their one game so far this year they took down, with ease, the San Jose Seahawks 90-0. The star of that game was Ofolangi Malliangi, their outside center who scored five tries in the one game. It will be a great battle for both teams, and it will have added importance to the All Blues as it will show far how they have come and possibly how far they still have to go. There is something of a log jam taking place in Carolina, as there are four teams all tied for second place in the competition on fifteen points. One of said teams is the Clayton Bootleggers and they will face the team in outright possession of first the Charlotte Barbarians. Despite being in outright possession of first place, it is only their's by the slimmest of margins, one point, which means it is all to play for this weekend. The Barbarians will be hoping they can bounce back after suffering their only loss of the season in their last game before the break to Columbia Olde Grey. Prior to that outing they had been lighting the scoreboard up, averaging 38 points a contest. The Bootleggers, who also sit at 3-1, have been a little less consistent. They suffered a heavy defeat to Ashville Rugby, 73-18. Outside of the one major slip up they have been just as, if not more, impressive as the Barbarians scoring 168 points combined in their three wins. This will be an exciting affair with each team looking to create some breathing room from the rest of the pack. Both will have the same idea on how to do that, score early and often. Expect a big score to come out of this one. It's one meets three this weekend, as the competition leading Chico Mighty Oaks welcome Olympic Club D3 into town. The Mighty Oaks have been living up to their name so far this year, going 2-1 and recording some impressive victories in the process. Justin Ledyard, the Oaks' fly-half and Carl Robinson have been the focal points for the Chico's ability to get up and running quickly. This dynamic duo in attack has been responsible for over 50% of the points scored by the team. 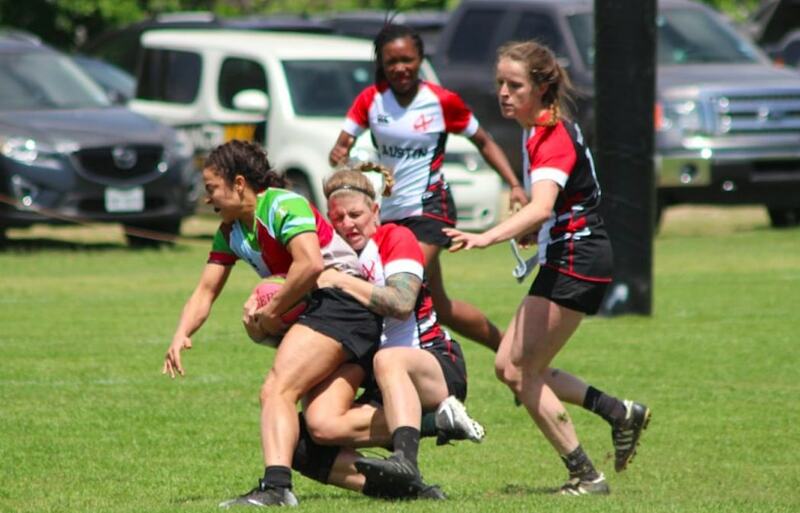 Olympic Club D3, on the other hand, have not been as reliant on individuals to spark their team they have shown great cohesion with more than half their team having scored at least one try on the season. While their cohesion is impressive, the margin of victory has not matched up. In their two wins on the season they average winning by six points. There are two ways to look at this, the first is they struggle to put away teams especially when they get on top first, or they are able to come through at the end when it counts most. On Saturday they will be hoping it is the latter, because the Mighty Oaks will make push Olympic Club for the full eighty. League leaders, Charlotte Rugby, look to continue their impressive resurgence from last year this weekend against the Greenville Griffins- who will be searching for a level of consistency in their results they are yet to find. With a win this weekend, Charlotte will have already tied the same number of wins they've experienced each of the last two years- the difference being they'll do it with half their season still to play. The catalyst behind their turn around has been the outstanding play of their wing, Adam Shokair. In the three games so far, Shokair leads the team in tries and points. Greenville will need to find a way to shut him down, something other teams have struggled to do. The other key to success for Greenville will be their ability to tighten their defensive screws. Scoring has not been a problem for the Griffins, unfortunately, it hasn't been an issue for their opposition either. The Griffins on average will let in three tries a game, which is not a promising sign when you consider Charlotte has scored at least four tries in every encounter this year. It will be a challenge for the Griffins to keep Charlotte from crossing their line, but it's a challenge they'll feel up to. The top two teams in the True South Division III East Pool face off on Saturday, as both Headhunters Rugby and Huntsville Rugby look to keep their hopes of a perfect season alive. The hosts, Headhunters, are 1-0 on the season after winning an impressive match first up against the Gadsden Pioneers, 50-5. As impressive as the team performance was, Joseph Pozzuto's four tries in the game stood out on its own. The captivating outside will be an absolute nightmare for Huntsville this weekend. Huntsville is no stranger to putting up big scores either, as they were able to score 67 points against the Pioneers. With two high flying offenses set to collide its going to be edge of your seat stuff.